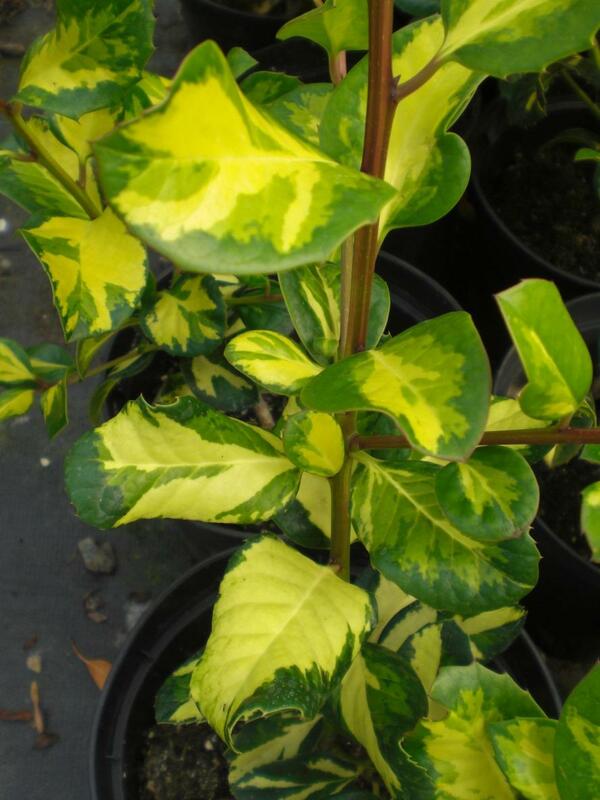 Ilex Lawsoniana is a large bushy evergreen shrub or small tree with broad light green leaves splashed gold. Produces small white flowers in spring and summer followed by red berries in autumn. Full sun. All soil types. Eventual height up to 4 to 8 metres with a spread of up to 2.5 to 4 metres.